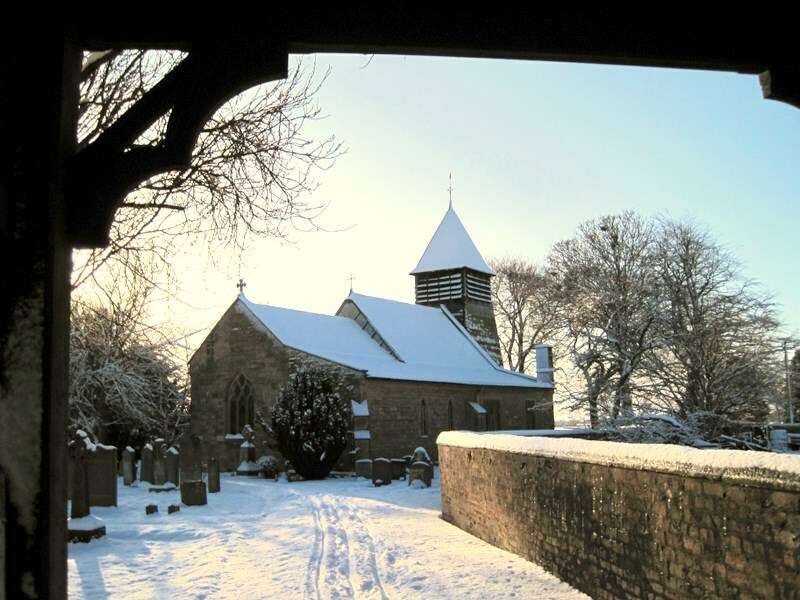 St. Mary’s Church is a small Chapel of Ease in the village of Raskelf situated about 3 miles to the North West of Easingwold. 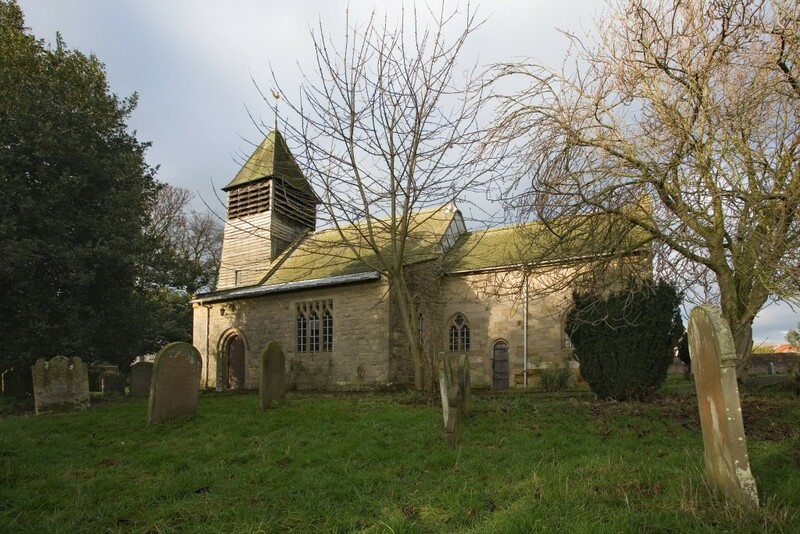 It is one of the few remaining churches in England with an original wooden tower. The 12th century church has been added to over the centuries—particularly in the 19th century when there was some significant rebuilding. Typical of the Victorian era, a lot of pine was used. The interior gives an unusual feeling of breadth and space and is notable for its woodwork, the fine broad chancel being of wood and the chancel roof and side-screen both incorporating medieval timbers. The windows in the North vestry contain medieval glass and these were restored in 2010. There are two significant memorials in the church. One is a tablet on the North wall of the vestry to Augustus Webb, a captain in the 17th Lancers (and brother of the then squire of Raskelf), who died at Scutari of wounds inflicted at the Charge of the Light Brigade. At one time the family owned 3,500 acres of local land. The other is to the Neville family of Raby Castle in County Durham. The Neville shield and arms can be seen in the capitol of the central pillar of the old wooden arcade. 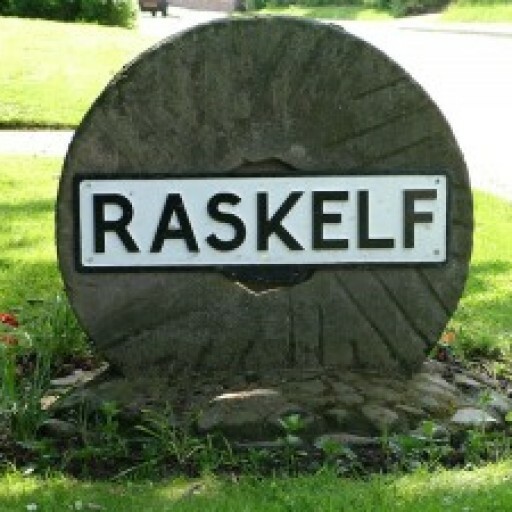 The family were once Lords of the Manor of Raskelf. In 1397 the 1st Earl of Westmoreland had a moated manor house in Raskelf. The Neville family lost all their estates including Raskelf in 1569 following the disastrous Rising of the North and all their assets reverted to the Crown. However, one of the ten towers at Raby Castle is called Mount Raskelf.